Copy: Pyotr Konchalovsky. Portrait of Alexander Pushkin (1932). A free online platform sends you Pushkin’s poems every morning. 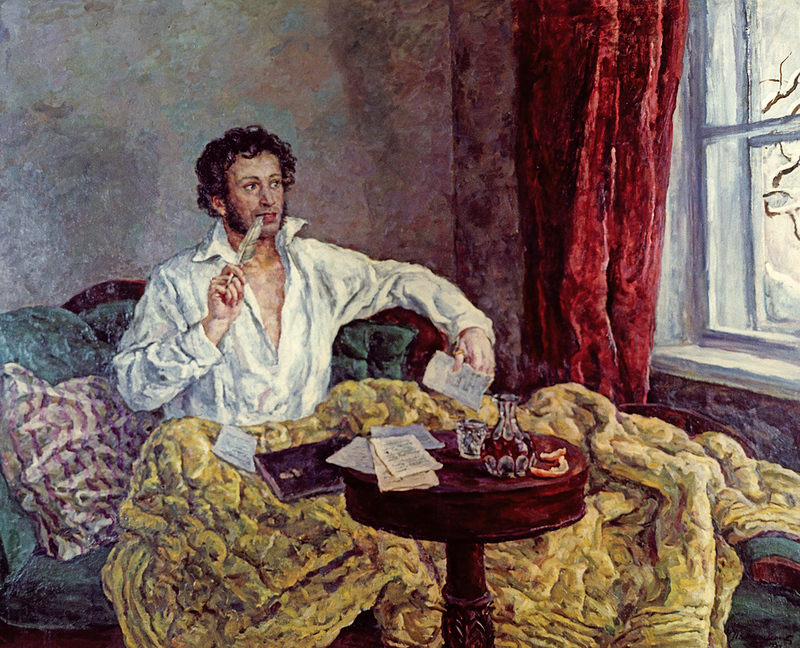 The free online service nezarastet.ru prepared 365 newsletters with poems by Alexander Pushkin, Russia’s most revered poet. Gorky media reports that "Nezarastet" is a Russian website about literature, and the name refers to Pushkin’s poem, "Я памятник себе воздвиг нерукотворный/К нему не зарастет народная тропа," ("I've raised to myself a monument not built by human hands/The people’s path to it cannot be overgrown"). One can subscribe for free on the website (in Russian), and receive a daily mailing with poems (also in Russian). The website also offers a two-month subscription for $0.90 (59 rubles) to access parts from Pushkin’s novel, Eugene Onegin. Nezarastet has plans to arrange newsletters for Dante's Divine Comedy, the poems of François Villon, and other classic writers. "We came up with this idea for the mailing when we realized that we don't read classic literature at all; especially lyrics," Nezarastet founders told the Internet journal, Inde. "How is it possible to trick yourself? To have poems sent directly to your mailbox."